Christine Lumilan wasn't sure she would — or could — become a mother. The Toronto woman was born with mild cerebral palsy, and later developed diabetes and polycystic ovaries, a condition that can impact fertility. "I didn't think I could have a baby," said Lumilan. When she unexpectedly got pregnant at age 39 last year, Lumilan, who is an early childhood educator, knew it might be her only chance. Her disability and other health issues made her nervous about the pregnancy, and she had a hard time finding any information about being pregnant and disabled. "I didn't even know if people with CP could have a child without help," she told Dr. Brian Goldman, host of White Coat, Black Art. 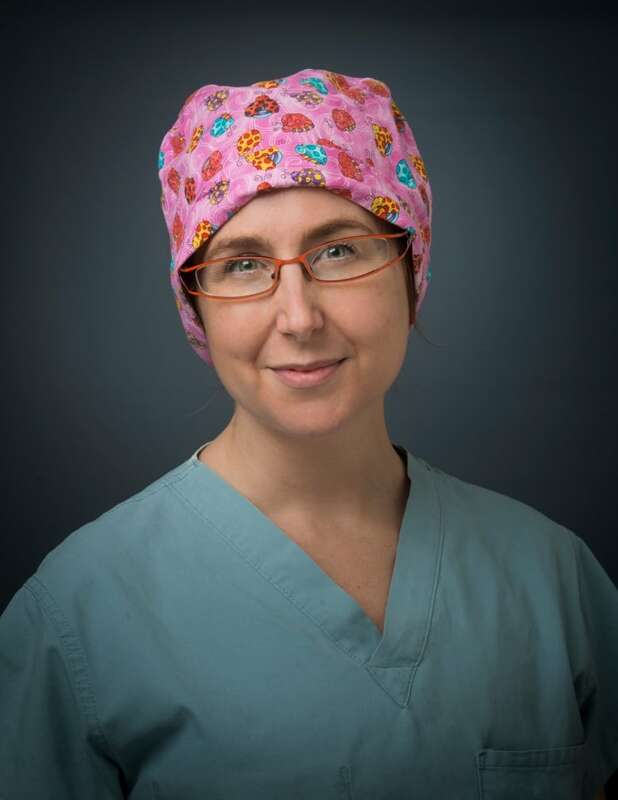 The turning point came when her family doctor referred her to Dr. Anne Berndl, a maternal fetal medicine specialist at Sunnybrook Health Sciences Centre. Berndl, who runs Sunnybrook's Accessible Care Pregnancy Clinic, believes the choice to have a child is one every woman with a disability should have a chance to make, if they are inclined. "It's a very safe choice for the vast majority of women with physical disabilities, and it's a choice that we should support," she said. Since opening in 2017, Berndl and her staff have seen 56 patients with a variety of physical disabilities. Berndl believes it's the first clinic of its kind in North America, and a rarity worldwide. Dr. Anne Berndl runs the runs Accessible Care Pregnancy Clinic at the Sunnybrook Health Sciences Centre in Toronto. (Kevin Van Paassen for Sunnybrook/Submitted by Anne Berndl)"There have been some other gynecological clinics that are dedicated to women with disabilities, but not the pregnancy aspect," she said. Berndl's interest in the field was sparked when she worked in a foster home for children with disabilities run by her in-laws. After seeing the gaps in maternal care for women with disabilities during her training, she approached Sunnybrook with the idea for an accessible pregnancy clinic. "I saw that there was not really a standard of care available for them. There wasn't always equipment that was available. And I also noticed that there were at times negative attitudes towards them choosing to have a pregnancy," she said. The clinic accommodates women with disabilities with larger exam rooms for wheelchairs and walkers, and equipment such as hoyer lifts and scales for people who use wheelchairs. The birthing suite, which Berndl called the "corner office suite," is also larger to accommodate mobility equipment and family. The clinic books longer-than-average appointments for ultrasounds and every person on staff has been trained by DAWN, the Disabled Women's Network. Berndl says one of the "big things" they offer is integrative care, so women like Lumilan can see multiple specialists in one day in the same place, eliminating the need for multiple trips. As pregnancy progresses, the patient and her support circle are invited to a team meeting where everyone involved in the patient's care "gets on the same page." In addition to helping women overcome physical and medical barriers to pregnancy and parenting, Berndl says they also tackle another hurdle — the stigma that sometimes comes with being disabled and pregnant. Christine Lumilan, who has cerebral palsy, meets with Dr. Anne Berndl for a 36-week checkup at the Accessible Care Pregnancy Clinic in Toronto. (Brian Goldman/CBC)"I know of one woman whose mother lived abroad and she didn't want to tell her she had a baby until after the baby was born because she was worried it would scare her," said Berndl. "I've heard of negative interactions with healthcare providers as well. I think sometimes it comes from a lack of understanding or maybe not ever having met someone with a physical disability with a pregnancy." Lumilan tears up as she recalls some of the comments she heard during her pregnancy. "I've [heard], 'Are you OK with taking care of [the baby]? Maybe you should give him up for adoption' … because I can't run after him," she said. She tried to take such comments in stride. "Of course I was hurt and upset about it, but I've heard that pretty much all my life because I was an early childhood educator and I've heard [people ask], 'Why are you taking care of children when you can't run after them?'" Berndl says those prejudices also seep into the research that's done on pregnancy outcomes for disabled women. Dawson Lumilan, who was born at the Accessible Care Pregnancy Clnic in Toronto. (Jessica Worosz)"If you have a general attitude that pregnancy does not coexist with a person with a physical disability then you're not going to be looking into those outcomes," she said. Researchers also tend to "lump together" all kinds of conditions, from spina bifida to spinal cord injuries and arthritis, which compromises the quality. Berndl hopes to change that by focusing her research on specific populations, including a current study on outcomes for little people. While she acknowledges some conditions present higher risks to patients who want to have a child, she believes her job is not to discourage — but to present the best information she can and let patients decide. "There are very rare circumstances where I would suggest a woman should not be pregnant. It is a big life choice. And again I really believe that women make good choices for themselves." Lumilan says her choice to have a child wasn't difficult, but the clinic and Berndl helped to ease her fears about delivery. "I was so anxious and I just didn't know anything...and they just helped relieve everything," she said. 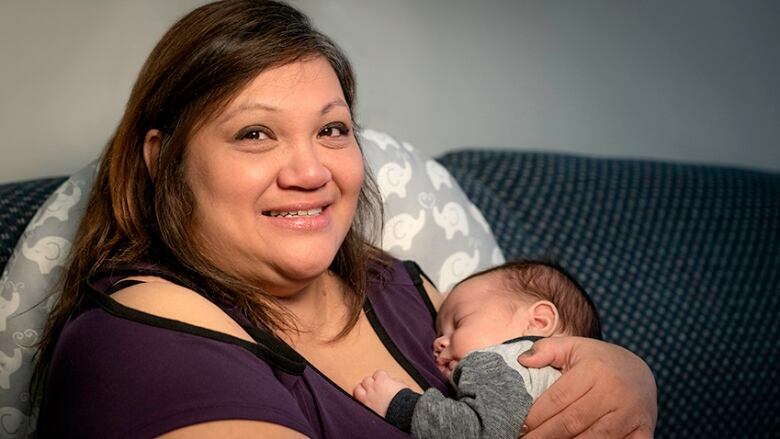 She gave birth to her son Dawson, now nearly five months old, on Nov. 28, 2018 by Caesarean section, in the clinic's birthing suite. Before he arrived, the Accessible Care Pregnancy Clinic set her up with an occupational therapist who came to her apartment to help prepare. As a single mom, looking after a newborn has been challenging. 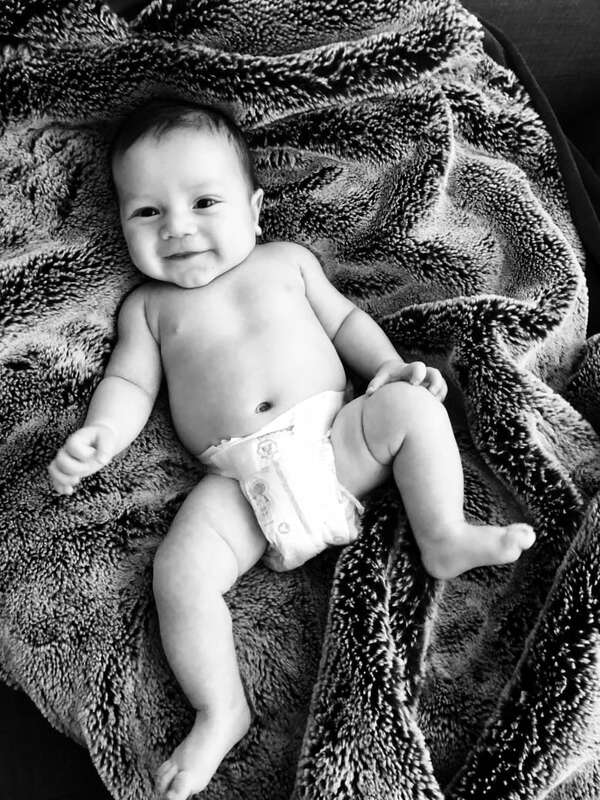 She struggled with breastfeeding and leg pain that made it difficult to get up in the night to nurse. The clinic connected her to breastfeeding support and her mother temporarily moved in to help her out. But Lumilan and Dawson have spent a few nights on their own, at her insistence. "I do want to do this alone. I want to be an independent mom," she said. Lumilan also started a video blog during her pregnancy called My Pregabled Life, which she hopes will help other women who are disabled and considering motherhood. "Personally I feel like people with disabilities can do whatever they like to do, or whatever they want to do, just not the same as everyone else," she said. Written and produced by Dawna Dingwall.